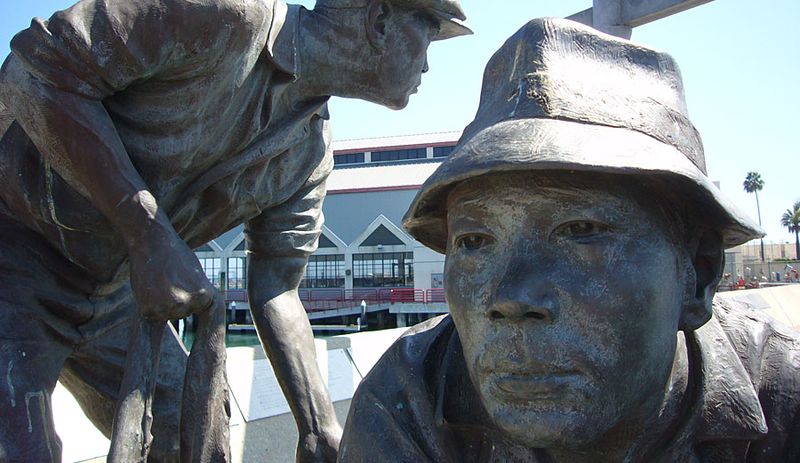 San Pedro has a memorial that is overlooked in many of the tourist guides. 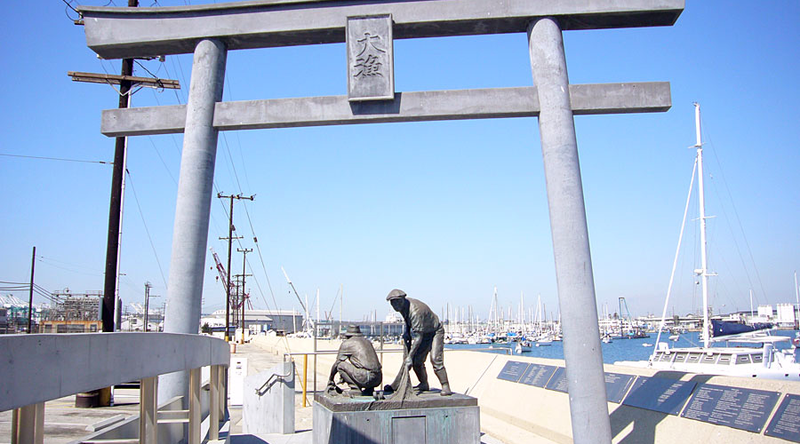 It is a Memorial to the Japanese Fishing Village on Terminal Island. 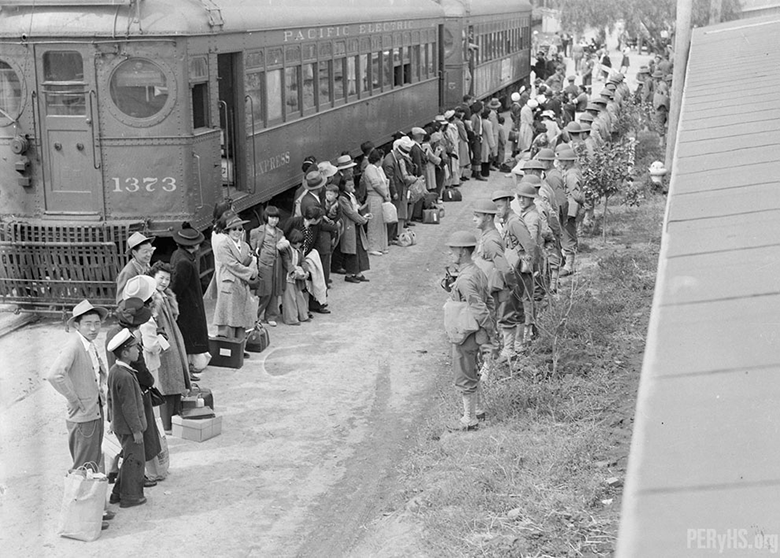 Japanese Americans were loaded on Pacific Electric Cars. Soon after the attack on Pearl Harbor, the FBI rounded up all of the adult males and jailed them. On February 19, 1942, U.S. President Franklin D. Roosevelt signed Executive Order 9066. 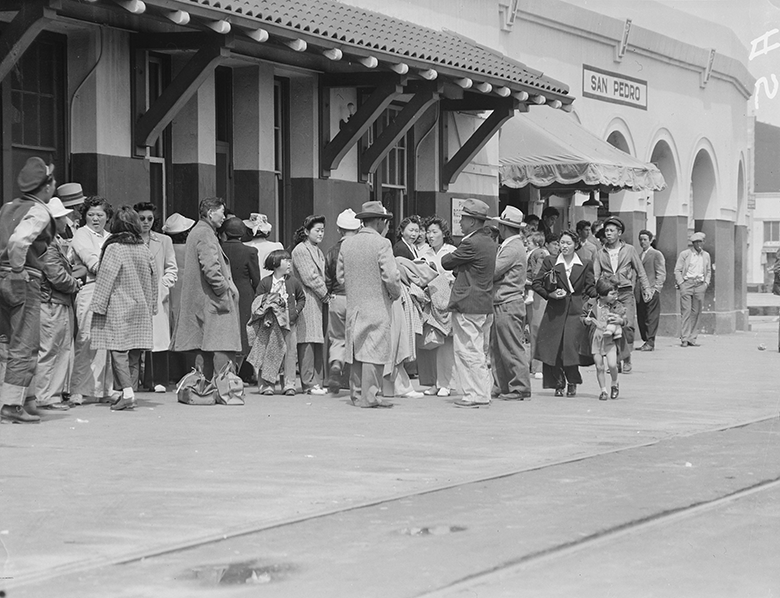 This Executive Order sent 120,000 Japanese Americans to internment camps . 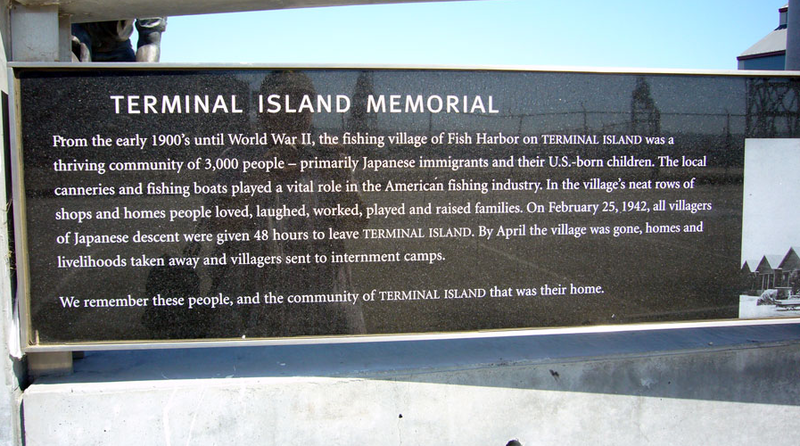 Of the ethic Japanese people forced into internment camps, about 62% were Nisei and Sansei ( 2nd and 3rd generation Japanese) and were American citizens by virtue of being born in the USA. 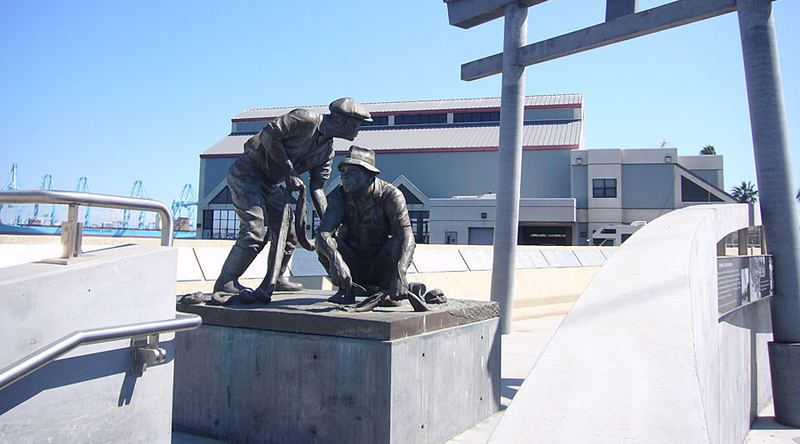 The other 38% were Issei (Japanese immigrants) who were either naturalized American citizens or resident aliens. 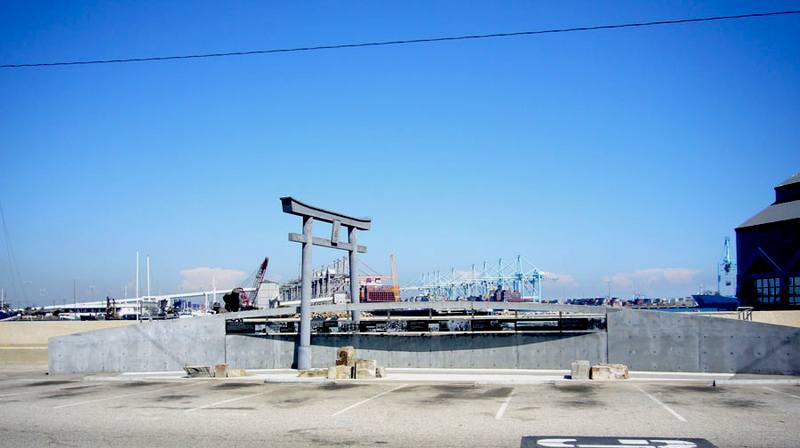 In February of 1942, Terminal Island residents were the first Japanese Americans, on the West Coast, to be forcibly removed from their homes. They were forced to evacuate their homes within 48 hours and had to leave almost of all of their possessions behind including all of their fishing boats and fishing gear. Some were able to sell their furniture, fishing gear, boats and other items. Since the residents only had 48 hours to complete the transactions, they were often forced to sell at ridiculously low prices by greedy individuals taking advantage of the desperate situation. The Japanese Village was stripped of anything of any value and flattened by bulldozers and completely destroyed . The fishing boats were either taken by the military, repossessed, stolen, or destroyed. On January 2, 1945, the exclusion order was rescinded. The internees were released with $25.00 and a ticket home. They returned home to find nothing. Furusato was gone without a trace. 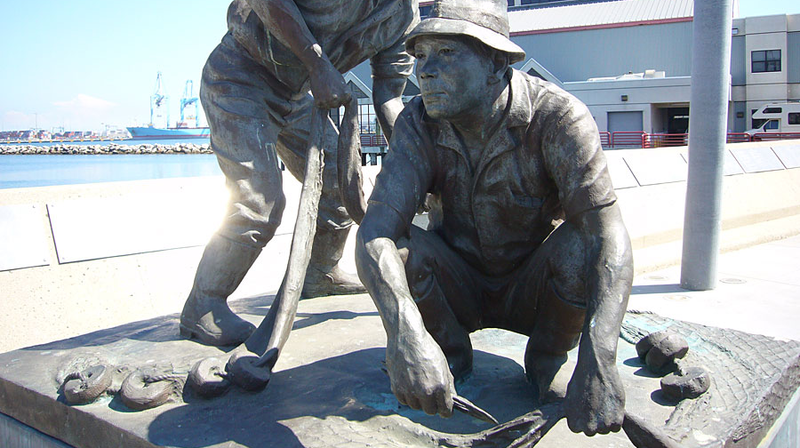 The canneries were still operating and a few people went back to work there . The rest of the former residents were scattered. 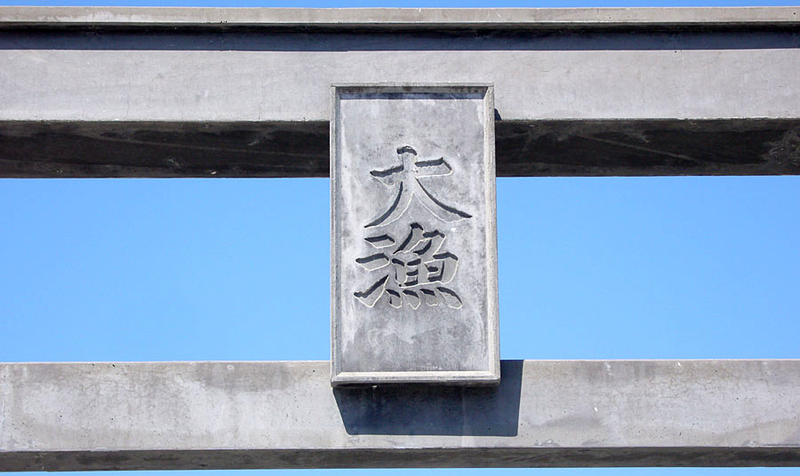 The former Japanese villagers were worried the memory, culture and history of Furusato would be lost forever. They stayed in touch with each other and tried to keep the memories alive.